The "True Adventure" spirit of this award winning model expands with the introduction of the Africa Twin Adventure Sports. The Africa Twin Adventure Sports has a large capacity fuel tank, long travel suspension for greater ground clearance and better weather protection. Throttle By Wire comes with 3 ride modes – and an additional G mode on the DCT model, for going off road – plus a host of other innovative features to take you further than you’ve ever gone before. For the final touch, we’ve given it special colours to celebrate and commemorate the bike’s 30th anniversary. It’s all looking good to go… are you ready? *3.95% p.a. interest rate is available for loan terms of 24 months and 36 months. 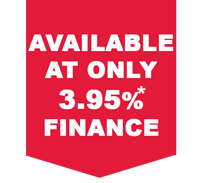 Finance offer applicable to new Africa Twin models. Interest is fixed for the term of the loan. No deposit required. An application fee of $350 applies. UDC Finance standard terms, conditions and lending criteria apply. Finance products are only available to approved customers. Standard warranty conditions apply. Available at all participating authorised Honda dealers while stocks last. Some motorcycles encapsulate perfectly what an adventure motorcycle is all about. The original XRV650 Africa Twin—which debuted in 1989 after Honda's four successive wins in the Dakar Rally—was one such machine. Its go-anywhere ability, rugged durability, agile handling and all-day comfort made it the perfect partner with which to explore. And it helped to define a motorcycling segment that has now grown into one of the most popular worldwide. The NXR750V, a full HRC race machine, faced stiff competition in the grueling Dakar Rally through the late 1980s but won in 1986 and 1987 in the hands of Cyril Neveu, in '88 with Edi Orioli and finally in '89 piloted by Gilles Lalay. The road-going XRV650 Africa Twin was produced in 1988 and '89 by HRC in tribute to their efforts, and it laid the foundation of what would become a legendary machine. In late 1989 the XRV750 Africa Twin was launched and quickly became an adventure touring benchmark. It featured a 742cc, 6-valve liquid-cooled V-twin engine (producing 60 hp and 46.2 lb.-ft. torque), long-travel suspension, a large fuel tank, chain final drive, a 21-inch front wheel (widening off-road tire choice) and dual front disc brakes. To help you on your adventures we have a complete range of accessories from centre stands to panniers and top boxes. Simply click left to see what we have available for purchase with the CRF1000L Africa Twin. Enables you to change gear in the traditional 1 down – 5 up format on DCT models, using a left foot shift lever, works alongside the handlebar shift triggers, giving you the choice of using either at any point. Sturdy pipe front guard protect the motorcycle fairings and is required as a mounting for the LED fog lights. Offers a 30mm Increase in seat height compared to the standard seat, giving two options for seat height 880mm or 900mm. Smoked screen which matches the dimensions of the standard clear screen. Polyurethane deflector designed to deflect hot air away from the radiator, in order to improve comfort. Designed to fit the 35l top box, this backrest is made of polyurethane foam for passenger comfort. Easy fitment with no drilling required. Offers a 30mm decrease in seat height compared to the standard seat, giving two options for seat height 820mm or 840mm. Slim integrated heated grip kit to improve comfort by preventing hands getting cold. Requires grip attach kit, sold separately. Sturdy stand provides more secure parking options on variable ground surfaces and simplifies working on bikes rear wheel. Polyurethane deflector designed to boost wind protection and funnel air away from the rider. Lockable robust panniers. Left hand side pannier can store a full face helmet. Requires set lock, key cylinder and key body sold separately. Powerful LED fog lights for Increased visibility. Requires sub harness, socket accessory and attach kit sold separately. Deluxe pillion foot pegs constructed of aluminum and rubber , that are wider than the standard pegs for increased comfort. Taller touring screen, improves wind protection and reduces buffeting. Offers an 85mm increase in height and a 30mm increase in width, compared to the standard screen.